Today's post is a quick one. I made it the other day and keep forgetting to get it posted and I want to link to a couple of challenges. I started by added blending distress inks on the cardstock for my background, which is one my favorite things to do! 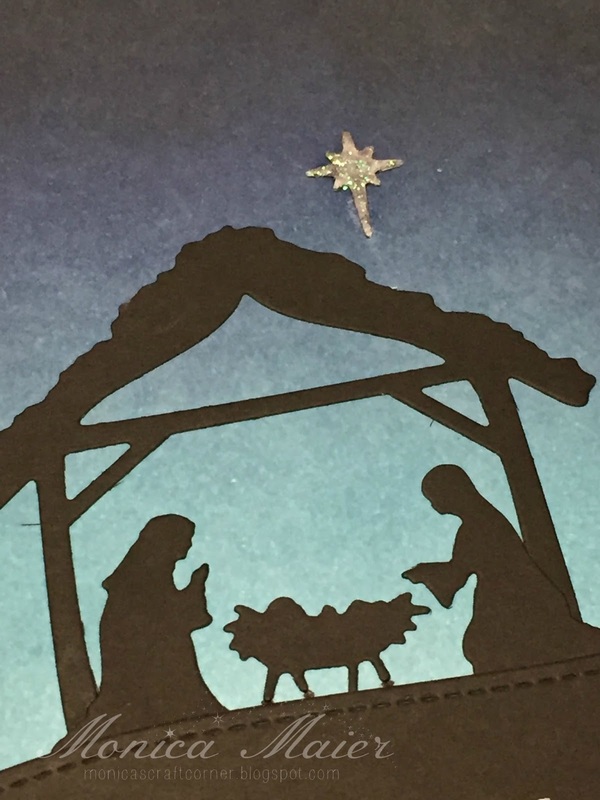 Once that was done I die cut the nativity and ground out of black cardstock. 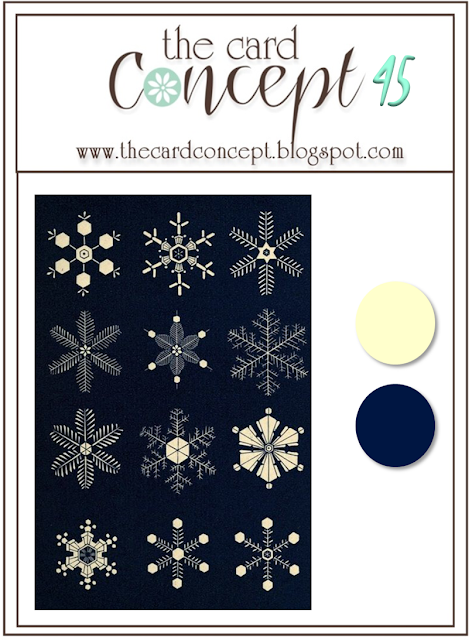 To turn my star white I used my Picket Fence distress marker to color it. I added all my die cuts to the base of the card and then stamped my sentiment in white. I also added some stickles to the star to give some sparkle. I love love love the simplicity of this card and the sentiment. Your sponged sky is gorgeous. Your sponged sky is amazing! Love the silhouette die-cuts. 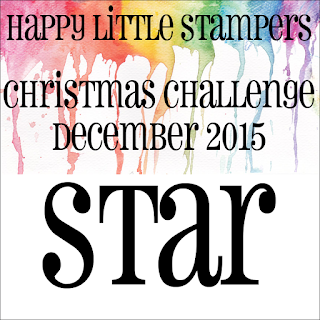 Thanks for sharing at Happy Little Stampers. This is a lovely die & looks wonderful against the shaded sky with the gleaming star in the heavens. 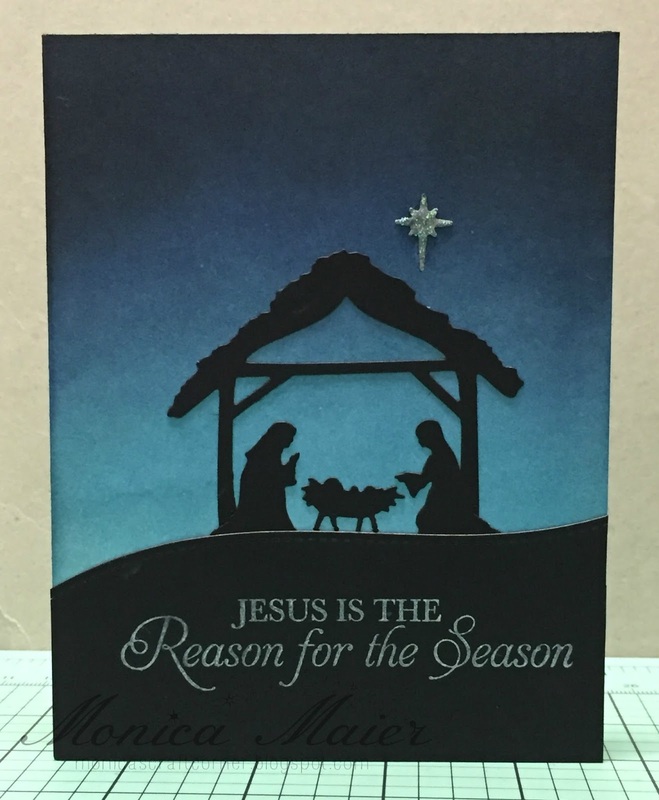 The sponging in the skyline looks terrific and it's just a perfect card to remind us of the reason for the season. TFS & playing in the HLS December Christmas Challenge. This is beautiful, Monica! You've done the night sky perfectly and the Nativity looks beautiful against it! 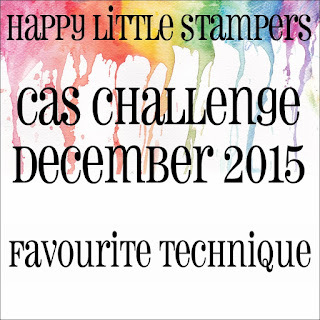 Thanks for sharing with us at Happy Little Stampers! Your blending is perfect for this amazing scene!